We’ve all been there—stretching into our downward dogs only to catch a glimpse of our sad gym hairstyles in the studio’s mirror. Here are seven cute and easy hairstyles to add to your gym hair care routine so you look as good as you feel. Start by gathering your hair into a high ponytail and securing it with an elastic. 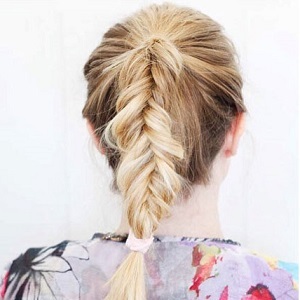 Divide your hair into three sections and create a simple braid. 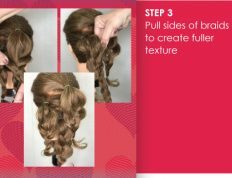 Once you’ve reached the end of the braid, add an elastic to hold the style. 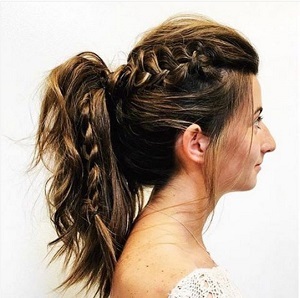 Begin a French braid and work your way towards the crown. 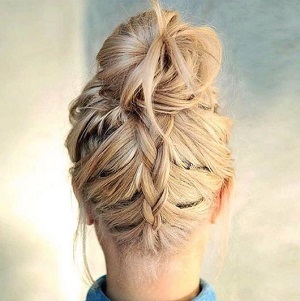 Once you’ve reached the top of your head, gather the rest of your hair and wrap it into a simple messy bun hairstyle. Start by adding texture to your strands with a light sea salt spray and creating a low bun at the nape of your neck. To give the look of some added flair, gently pull the hair at your roots up slightly for some extra lift and volume. 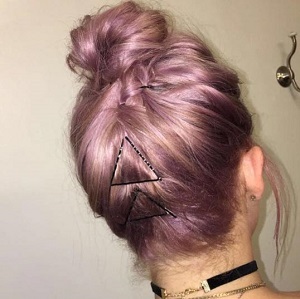 This easy hairstyle is perfect for those days when you need to feel some zen. 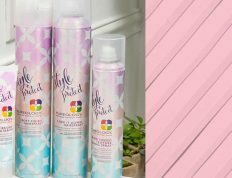 Apply a leave-in conditioner before such as Colour Fanatic Hair Treatment Spray to prep and perfect for smooth, moisturized hair. Start this style by pulling your hair into a sleek ponytail and securing your ends with an elastic. Going to gym to dinner with the girls? 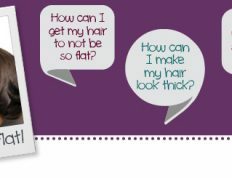 Use a moisturizing air dry cream such as Hydrate Air Dry Cream and say hello to beautiful waves! Then gather bobby pins and create a style of your choice! 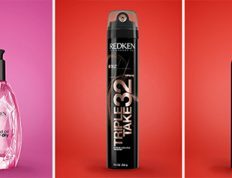 Add some extra volume to the look by using a lightweight volumizing hair mousse such as Clean Volume Weightless Mousse. Tease the crown (the top) section of your hair for added height. 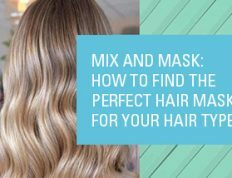 Take a two-inch section of hair and begin braiding from your hairline to the ends. Secure the braid with a small elastic. Gather everything into a ponytail and secure with another elastic. Give your ponytail some extra lift by applying Clean Volume Instant Levitation Mist through your hair before you style. Take your first section and twist the hair tightly. Once you have it as tight as you like, wrap the hair into the bun and secure at the nape of your next and repeat on the other side.